What is a body? Well, that’s a good question. For one, it’s a sack of flesh with some organs in it. But it’s also so much more. This performance and panel discussion delves into the inherent relationship that live performance has with bodies. If you make something and perform it yourself, the way your body exists, moves, and functions affects how that performance happens. Additionally, the societal constructs regarding bodies and how they should act and appear will affect the audience’s perception of the performance. Is there a way to prevent or subvert this? Performers Erin Markey, Neil Goldberg, and Jonathan Gonzalez will all show you some of their work, and then discuss what you’ve seen and how it relates to the big wide world of bodies. When we last touched base with boylesque performer Vic Sin, he was gearing up for the Vienna Boylesque Festival. However, he’s very much in New York now, and producing a new show at everyone’s favorite home for the weird and wonderful (but mostly weird), Bizarre Bushwick. This cabaret has a mighty impressive lineup, with performance stylings by Madame Vivien V, Ragamuffin, West Dakota, Chris of Hur, and many more. 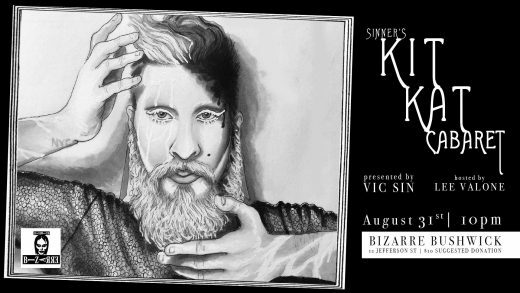 The whole shebang is hosted by Lee VaLone, the mastermind behind drag king showcase BEEF Show, which also happens at Bizarre. Come early, stay late, and envelop yourself in gender fluidity and glamorous performance. 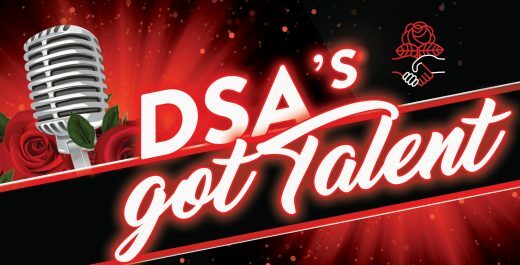 This Friday, the NYC chapter of the Democratic Socialists of America are putting on a good old-fashioned talent show to raise money for their Immigration Justice Working Group, featuring both DSA members and whoever’s interested in partaking. A lot has been said about the DSA’s membership being a little too heavy in the “straight white male” department, so there’s always the chance this talent show will contain a lot of brooding men with acoustic guitars. But you know, if you have to listen to an open mic-style song by a bearded dude, it seems much preferable to hear one about a world without capitalism than a musical rumination on the friend zone or something. All joking aside, I am very newly a DSA member and have looked into the organization enough to know that there are plenty of non-white, non-cis, non-straight, and non-male members despite the small voidlike slice of Twitter that may imply otherwise, so I’m sure this talent show will be full of interesting artistic offerings. Maybe some non-interesting ones, too. As they say, variety is the spice of life. Many pieces of fiction depicting protagonists going back in time show them traveling into the past and realizing that changing anything would cause irreparable ruin to the present day as they know it. But Eternal Cult’s Caveman Play seems to have a little more faith in the act of the do-over. 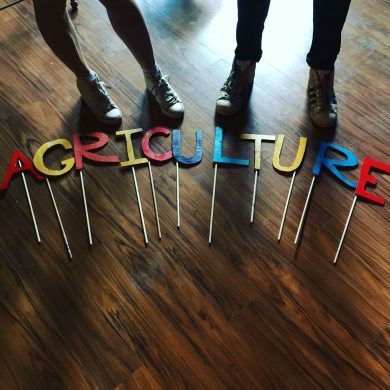 The play, written by Savannah Reich with music by Douglas Vento, is about the first cave-people to ever venture into the agriculture industry. They’ve prepared a presentation about the glories of agriculture to their cave community, but how will they react to this pitch? The binary choice that humanity has for its fate, the play’s description states, seems to be either “global warming, institutionalized racism, and Snapchat filters” or “being eaten by tigers.” I like to think if you put a Snapchat filter on a tiger it might be amused enough not to eat you, but seeing as the evils of climate change loom more and more every day, maybe the stable temperature that is the inside of a big cat is the better option after all. Also, if you can’t make the show Saturday, it’s also happening on Friday at Secret Project Robot.